Despite MAC being one of my favourite make-up brands for lipsticks I have never tried one of their foundations. 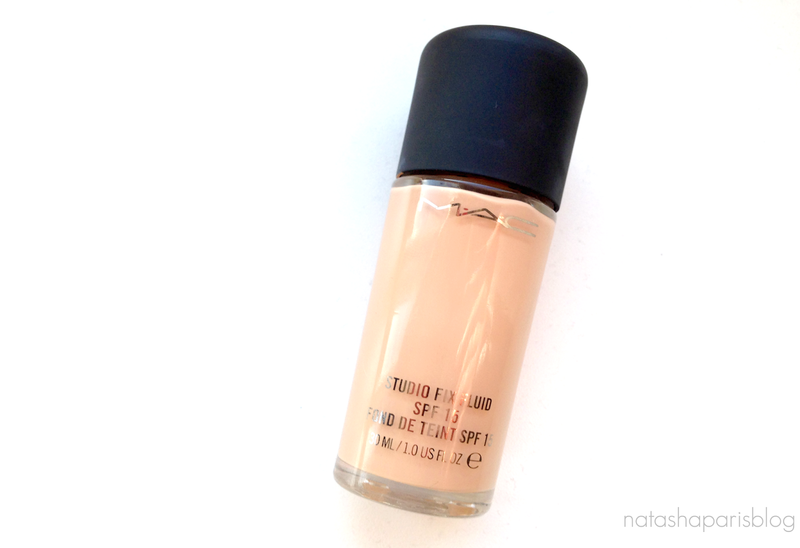 Although I love the YSL Le Teint Touche Eclat Foundation, sometimes I prefer my skin to have a matte finish,so I decided to give MAC Studio Fix Fluid a go. I always feel nervous about getting colour matched at a make up counter since I had a bad experience where the assistant took off ALL of my make-up,eyeliner included, rather than applying to a small area of my skin (just to clarify this wasn't at a MAC counter). Instead I decided to purchase this foundation online. Having never tried a MAC foundation before I had no idea which shade would be best suited so I used Findation.com - a handy little website which can advise you which shade of foundation would be best suited based on the brands and shades you currently use. I believe that in the UK MAC Studio Fix Fluid is currently available in around 40 shades, which I think is much better than other brands I've seen/tried. I ended up choosing to go for the shade 'NW20' (which was recommended by Findation), which seems to be a good match for my skin tone. MAC Studio Fix Fluid is a medium coverage foundation which can easily be built up if a higher coverage is desired. When applied to my skin the foundation gives a natural looking matte finish, which is great for those areas of my skin which can tend to get a little bit oily. Unfortunately the matte finish isn't quite so forgiving on areas of my skin which may be a little bit drier (e.g around my nose) so I try to make sure that I exfoliate regularly and moisturise my face prior to using this foundation. Mac Studio Fix Fluid also contains SPF 15. Of course if we were in the height of Summer I'd choose to go with a higher SPF, but for an everyday basis it's a nice added bonus. I know others have found that this foundation doesn't have the desired lasting power and some people have even found that it oxidises throughout the day. However, I haven't found this at all, infact I've been really impressed with the lasting power of this foundation. On an everyday basis I've found that I can apply this product in the morning and it will still be intact when I arrive home in the evening after work. Of course with any product the results can vary from one person to another but if you have a combination skin type like me this may be a product to consider if you're looking for a new foundation. MAC Studio Fix Fluid is available from MAC counters, stores and online, retailing at £22. Have you tried this foundation before? What did you think? I'd love to know your thoughts.